· by Zena Tahhan online journalist and producer for Al Jazeera English. Nora Marzouqa, a 17-year-old Palestinian from Bethlehem, has wanted to study at Harvard University for as long as she can remember. But the aspiring doctor and skilled debater grew up believing her dream was out of reach. "I've seen my family members try to study abroad but they couldn't for financial reasons, and also because we have to do the Tawjihi [Palestinian matriculation exam] and most universities abroad don't recognise these test scores," she tells Al Jazeera. "It just seemed impossible for me – I didn't know what the process was or how to go about doing it." When she reached the tenth grade, aged 14, Nora heard about a new, national, three-year education programme that promised high school students acceptance into top universities in the United States and the UK. The initiative, called Bridge Palestine, is the first programme of its kind in the country. It aims to fill the gaps in the local education system by providing after-school classes designed to train high-potential students to compete for education abroad. The $2m project was launched by Taawon, the largest Palestinian non-profit organisation committed to local development. Out of 3,350 applicants to the programme from across historic Palestine, Nora was one of 400 students to succeed. After completing Bridge Palestine, she received her acceptance letter from Harvard University, on her 17th birthday. "It was a surreal feeling," she says, adding that she won an 85 percent scholarship. "I met a lot of people that ended up going to prestigious universities," says Nora.The ambitious teenager was captain of the Palestinian national debate team for two years, competing in international school championships in Singapore, Germany and Slovenia. "Participating in these championships allowed me to see that I'm not very different from the people that get into these universities." That is the exact message of the programme that helped propel Nora to Harvard University: that Palestinian students can do it, too. Although 400 students were accepted into the programme at the beginning, the students were filtered each year based on their skills and qualifications to continue in the programme and apply for universities abroad, leaving 110 students who managed to graduate. So far, 50 students have received early acceptances into world-class universities such as Stanford University, King's College London and the University of Manchester, with 60 remaining candidates hoping to hear back within the next few months. To get into Bridge Palestine, applicants had to pass three stages: an aptitude test, group and one-on-one interviews, as well as tests on their ability to solve problems and challenges. According to Tafeeda Jarbawi, director-general of Taawon, the programme employed positive discrimination to increase the representation of women and underprivileged students. "We teach them how to write good essays, how to succeed in interviews, how to be good citizens, the basic skills of dialogue, how to be rationally and not emotionally driven, what types of questions they should ask, how to have an open mind and be open to diversity," Jarbawi told Al Jazeera from the occupied West Bank town of Ramallah. "I truly believe that if these people come back to Palestine, they will make a big difference. They will come back as leaders." 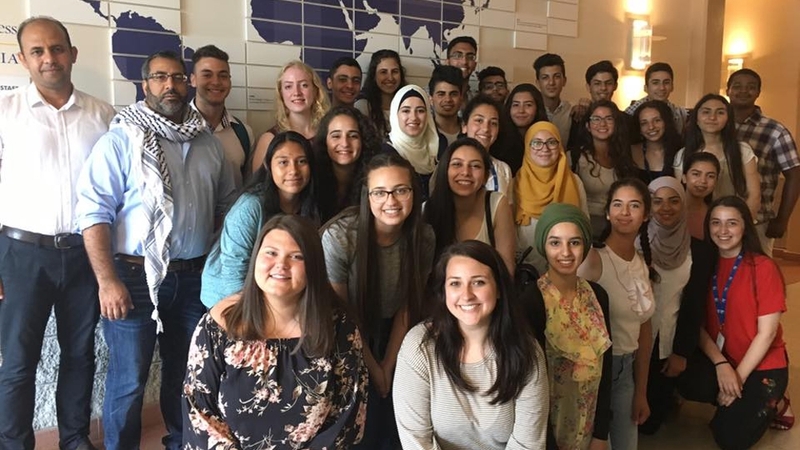 Over the summer, a delegation of students was sent to US universities for a month to learn about the education system and the different types of professions they might consider. "Every day, they would bring a different person to talk to us about their profession. For example, a police officer. They would talk to us for an hour and answer all our questions about their field of work so that it would be like career guidance," Akram Sbeih, a student who was accepted into Stanford University, told Al Jazeera. Taawon is now considering transforming the project into an academy. 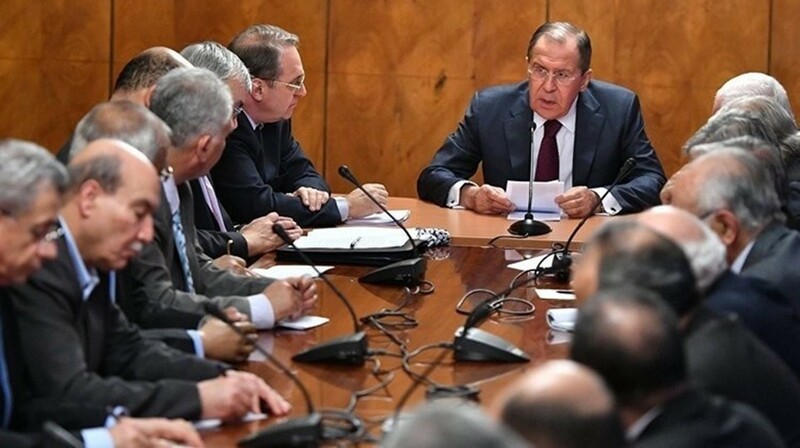 "When the student graduates and becomes a scientist or an economist or even comes back [to Palestine] to work in politics and tries to solve social or political problems, then this investment is really the best investment for Palestine and for the Arab world," said Jarbawi. She believes that the programme is required to remedy many problems within the local education system as well as those resulting from the Israeli occupation – namely, restrictions on the Palestinian curriculum and funding. Yahya Hijazi, an education researcher working at Al Quds University, says that schools across historic Palestine tend not to have the capacity to prepare students for acceptance into universities abroad. "The principal problem is that the educational system is very traditional. 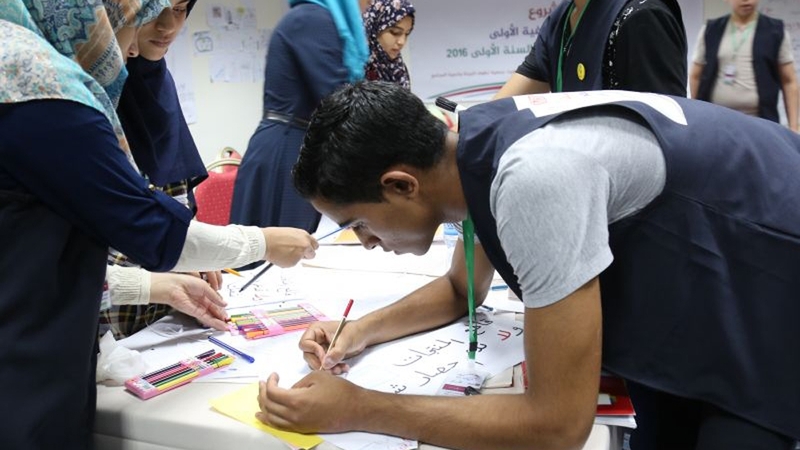 They do not have the resources and there is no one to light the spark of excellence and creativity within the students," Hijazi tells Al Jazeera from Jerusalem. 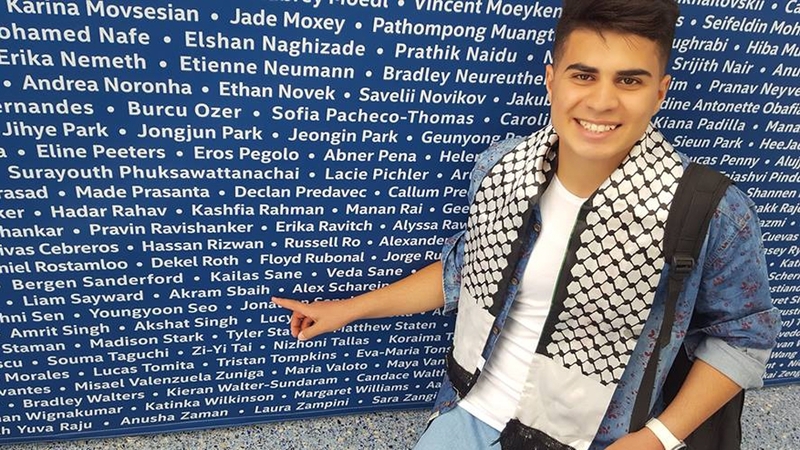 "If I'm spending six or seven years of my life abroad to learn, I want to come back and provide Palestine with new solutions." "All that is linked to the student's personality, their ability to take decisions, to express themselves, to change, to lead, to engage in discussions and debates, to write well, to propose an idea or critique it - these things do not exist in our books, unfortunately," he adds. "The students who have a lot of potential do not have the opportunity to explore their skills and develop them." But while Bridge Palestine may offer students a chance to study abroad, it cannot secure scholarships or funding for them. Marah Akhdar, a student from Beit Hanina in Jerusalem, was accepted into King's College London to study medicine, but she has not yet been able to secure funding. "Nothing is certain until we secure the funds for my tuition," she tells Al Jazeera. "Not getting a scholarship is my biggest fear," continues Marah, who hopes to become a cardiothoracic surgeon. Taawon is set to launch a fundraising campaign. If the tuition fees are not collected, however, Jarbawi says the association's board members will step in. "The students knew from the very beginning that this is not about securing scholarships - it's about securing acceptances - but we're not leaving them alone," she says. "This is an issue that we raised right at the inception of the programme. 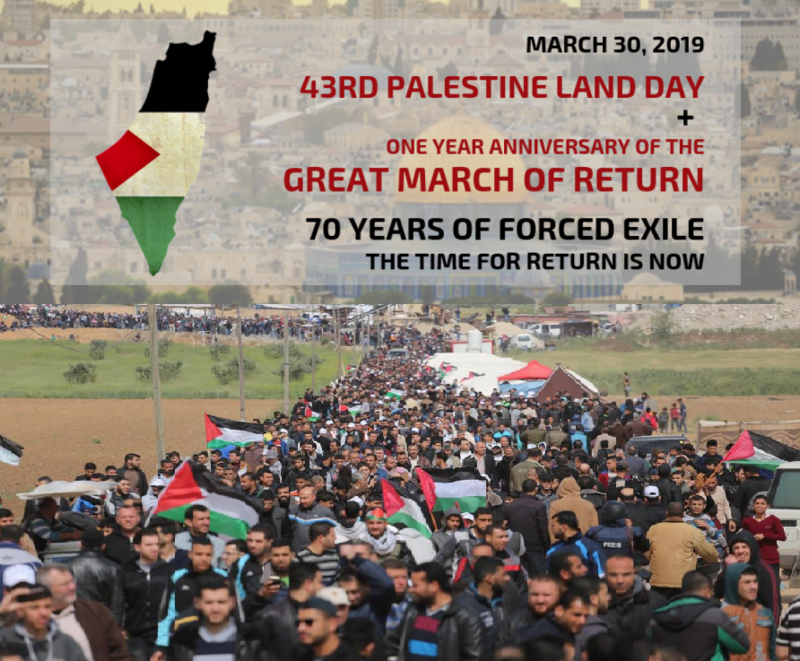 But it is very important for us to say that here we are, we are Palestinians, we are under occupation, and because of that, we are unable to access good education. Now, we're doing this to prove that we can challenge this reality," says Jarbawi. The students themselves are also eager to return and contribute. Akram, who was accepted into Stanford, wants to study computer science. "Programming companies can bring in a lot of revenue for Palestine by exporting their programmes abroad," he says. Similarly, Marah, the aspiring heart surgeon, says she wants to improve the Palestinian health sector. "If I'm spending six or seven years of my life abroad to learn, I want to come back and provide Palestine with new solutions. "When you look at universities abroad, you feel that they can give you an edge, that they can teach you new things so that you can implement them back home."